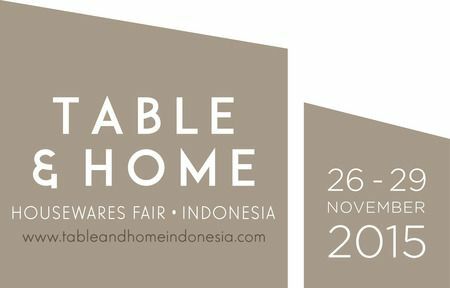 Table & Home Indonesia Housewares Fair is the only dedicated Housewares trade event in Indonesia. This event showcases products like showcasing housewares and interiors products, Table and Home offers something for every trade professional involved in retailing, distribution and supply of glassware, ceramics, tableware, kitchenware, lighting, home textiles, and accessories. Strategically located in Jakarta, Table and Home is more than an event just for the Indonesian market, it offers a regional trading hub attracting leading buyers from across the ASEAN, Australia and India. The result is that Table and Home, which takes place annually in November, is now classified as a must attend event for both suppliers and buyers.